A - your aura changes , you realize the way of the world, you are enlightened on the battlefield and no harm can possibly befall you. When you give the ok Jake, the battle begins, and ill update with the deadline. Awesome! I'll get started immediately. The deadline is 4:15 PM PST 6:15 PM CST. Good luck! ..............I think you might have someones character mixed up with mine.....There is no way in hell I would use an elf.....EWW.....nice painting skills though. Mines coming along....should have it up very soon. Heres a WIP for yall. "As one of Kobrins demons attacked the temple, a single monk sat inside, meditating. 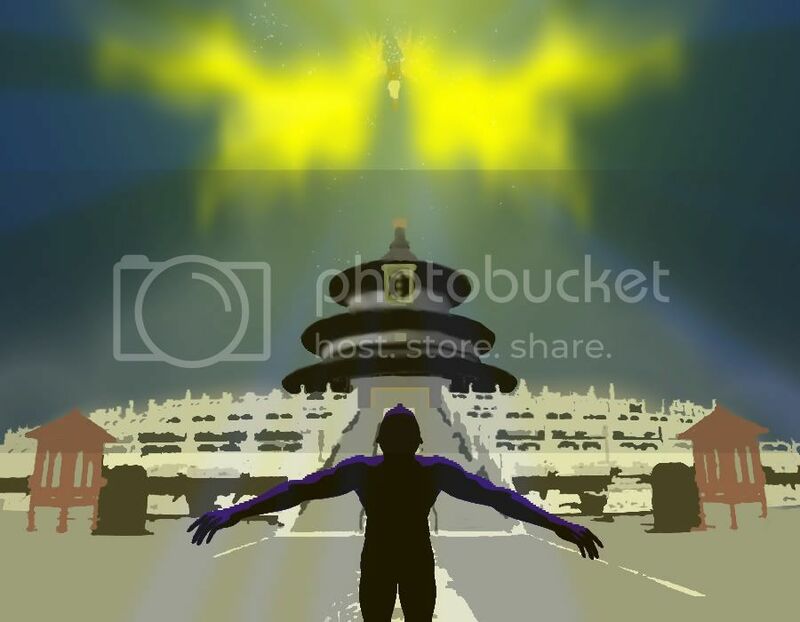 Just before the demon broke inside, a massive burst of energy surrounded the temple. The monk had become one with the universe, and used his power to defend his home from the demon. 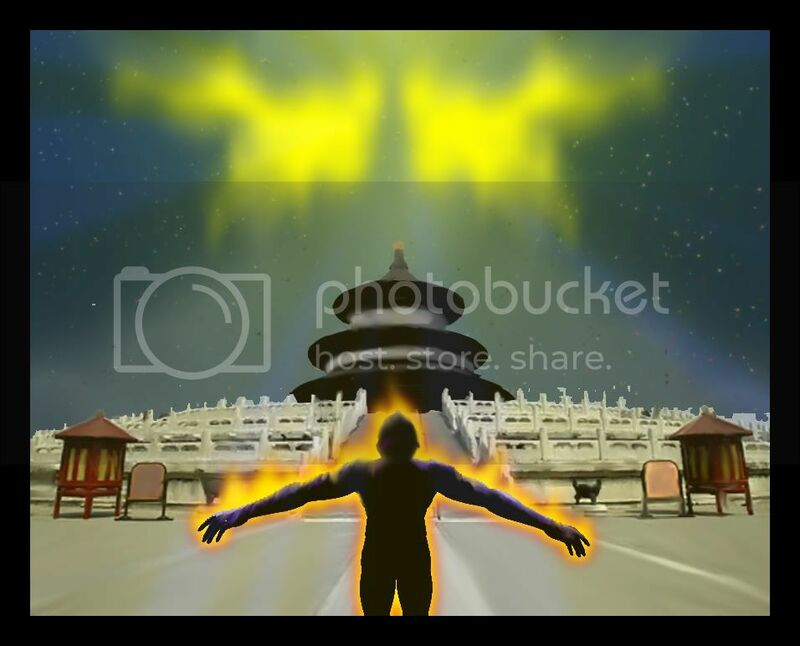 The power surged over the beast, burning him alive in the holy energy." So Jake, you cut em, I cook em? I guess were ready for judging! This is interesting though. Without really knowing what eachothers characters are, we have angel vs demon, good vs evil, dark vs light, and all that with our two paintings. Evil the layouts are opposites. Cool. Last edited by Digital_Blacksmith; February 6th, 2008 at 11:00 AM. Digital Blacksmith - Even if it isn’t, your image looks constructed and mirrored. Its as if all the elements are there but it just doesn’t quite hang together, part of the problem is the centered and sememtrical composition which anchors everything and makes the whole image static. Cool! What do I win? Good round DBS. This was fun! Eh, ill admit, this wasnt my best work, but it is good practice. So thanks for choosing me.